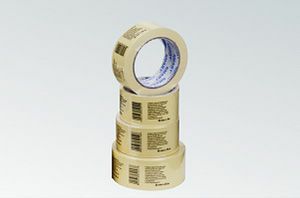 Double-sided adhesive tape to the carpet is composed of a carrier – PP film, coated with white synthetic rubber adhesive, the whole is protected by a double silicified yellow protective veneer. 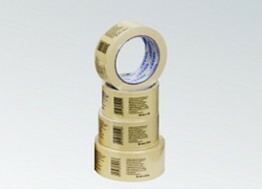 The tape is used for fixing carpets and other flexible floor coverings. The carrier has a very high adaptability to the surface. It is characterized by high adhesion and excellent adhesiveness.